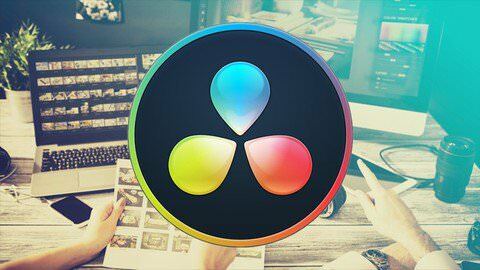 DaVinci Resolve 15 is a Free Software. I’ll show you how to download and Install your copy. No prior knowledge in Video Editing, Color Correction and Grading, Visual Effects or Motion is required. It’s all covered in the Course. A 1080p (at least) Screen Resolution is highly recommended to work in Davinci Resolve and to preview the course. How to correctly use Curves, Color Wheels, Qualifiers, Power windows, Scopes and all the rest. Beginners in DaVinci Resolve 15. Beginners in Video Editing and Color Grading – You will learn how to Video Edit and Color Grade and more. Intermediate and Advanced Video editor who want to learn how to work in DaVinci Resolve if it is for Video Editing or Color Grading. If your focus is only on color grading then you’ll learn all about color correction/grading in DaVinci Resolve 15. If your focus is on Video Editing then you will learn all about Video Editing in DaVinci Resolve 15. Hey man this is great. But can you do DaVinci Resolve 15 FAIRLIGHT from Skillshare? Corrupt “2.1 Tracking Clips.zip” samples in ’15. Controlling the Video’ folder.